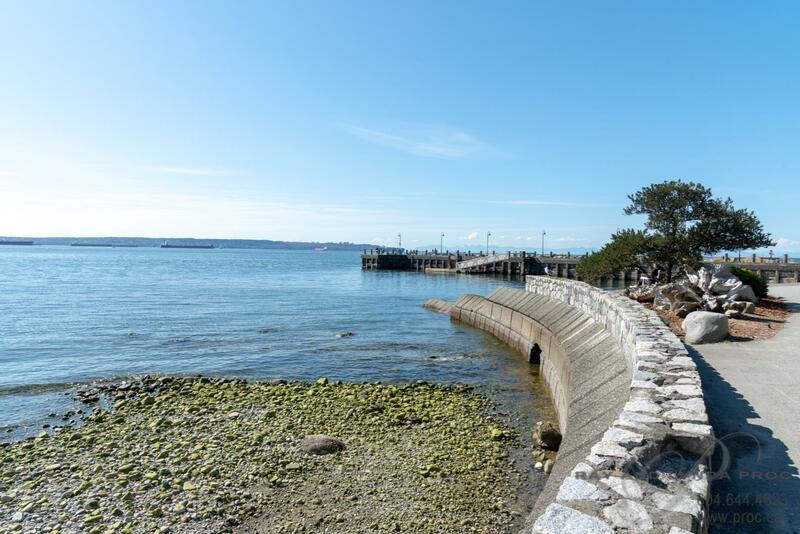 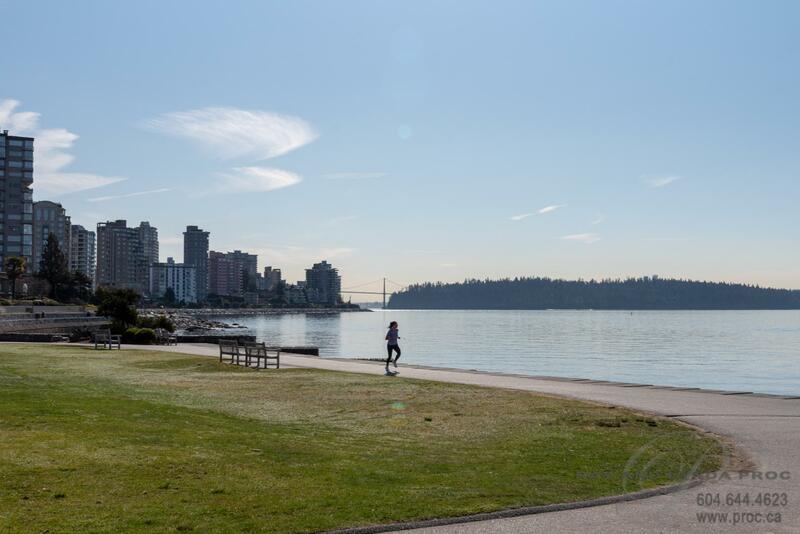 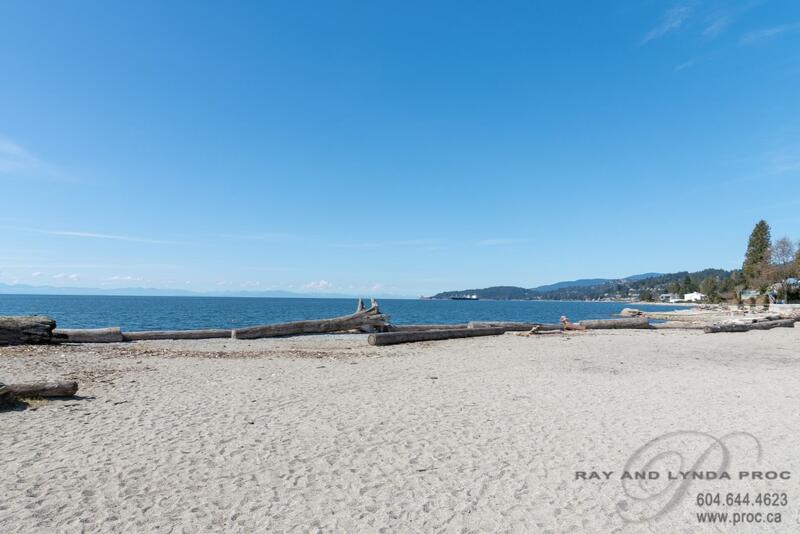 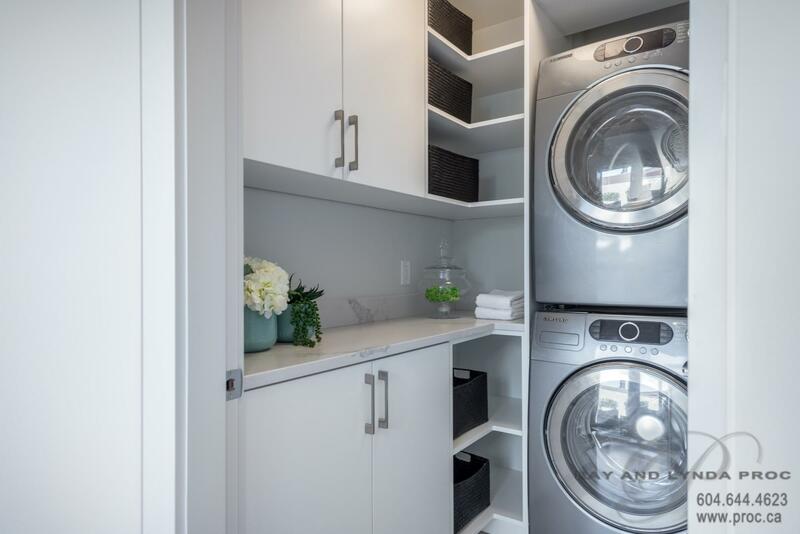 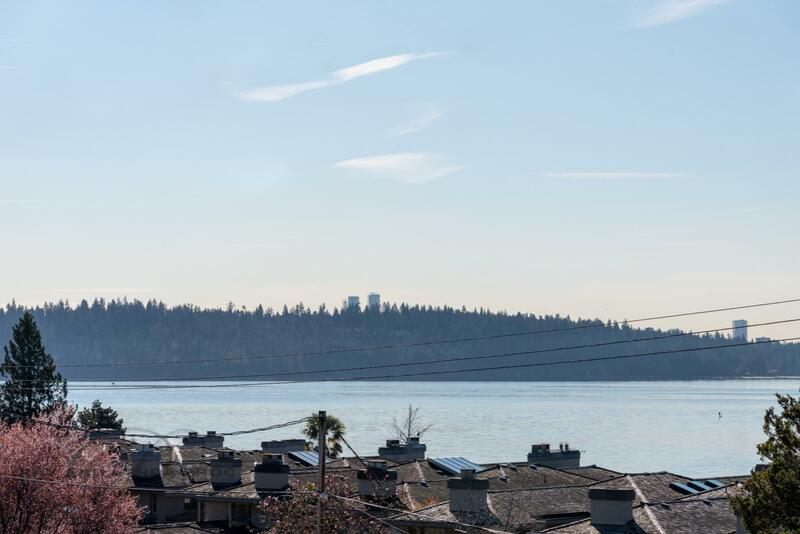 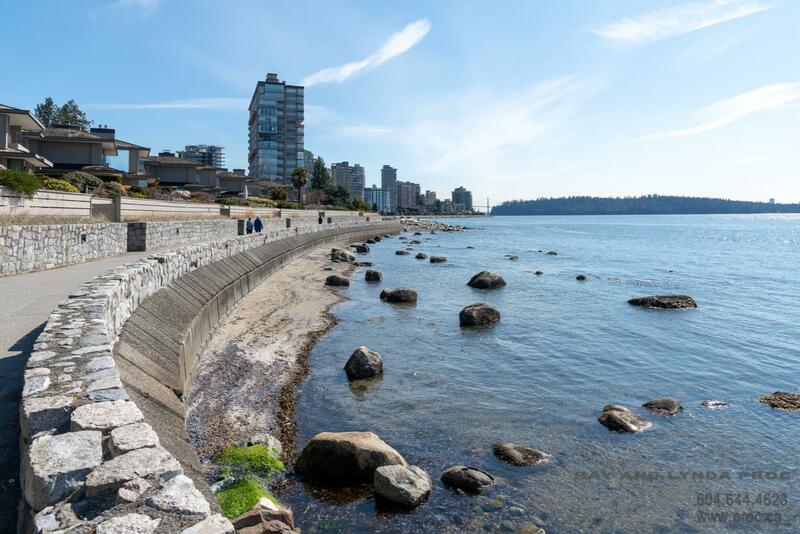 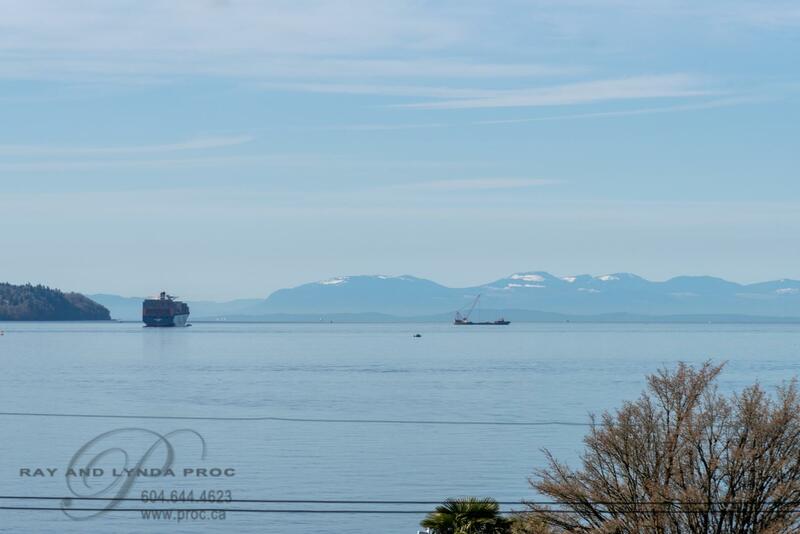 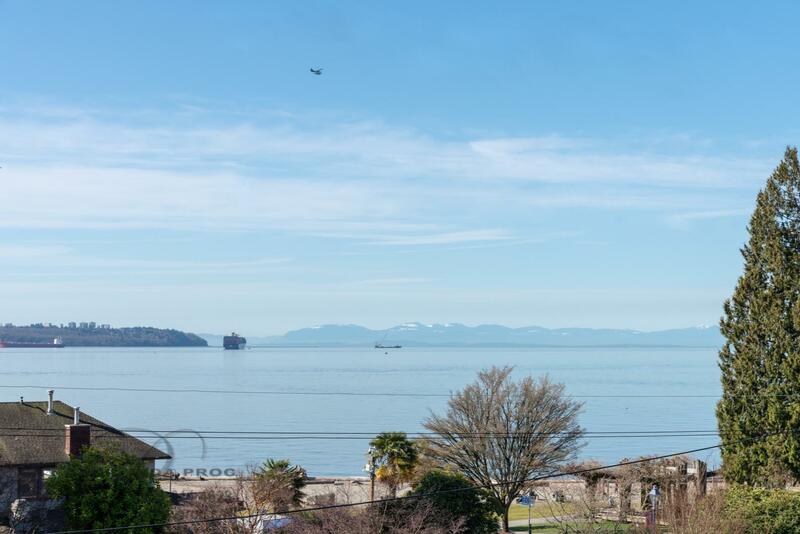 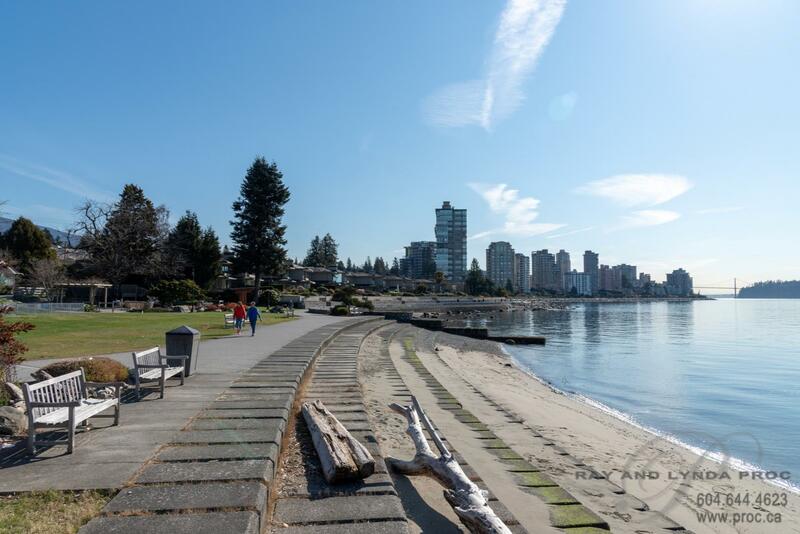 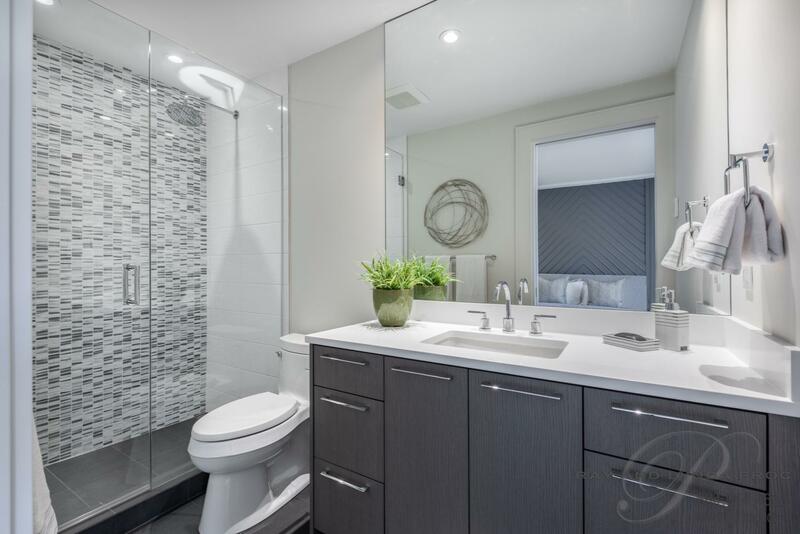 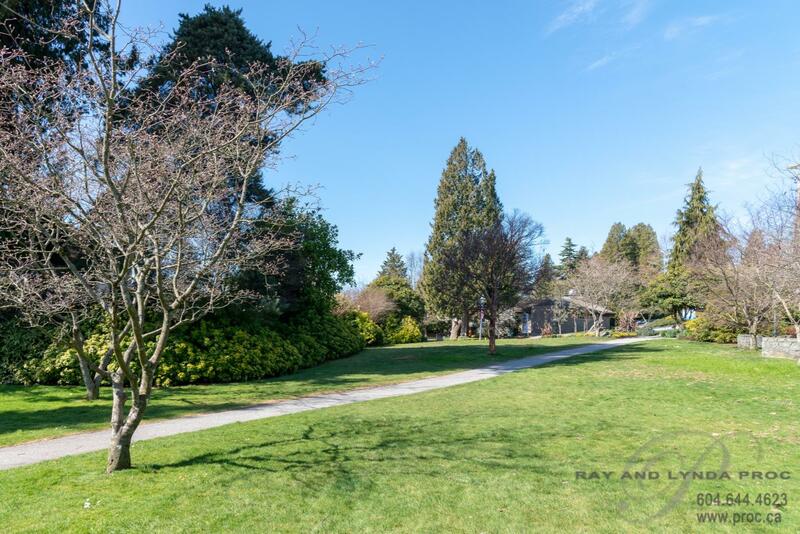 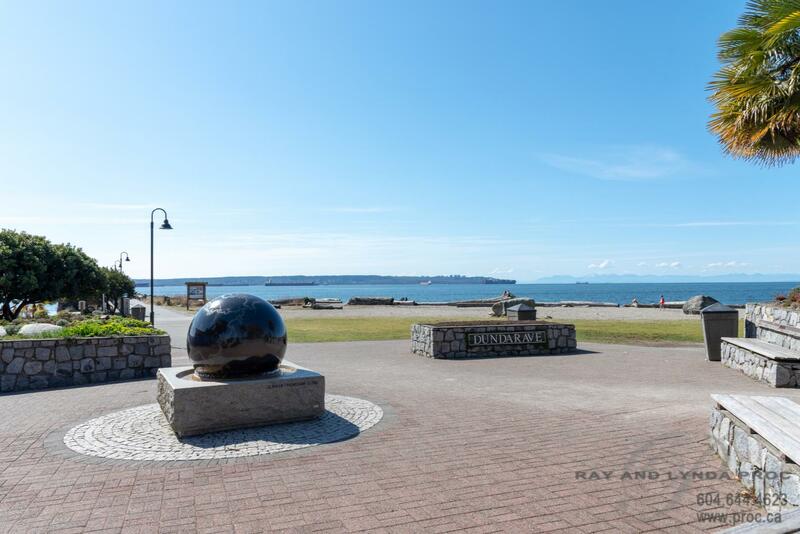 OCEAN PARK’s location is ideally situated, looking out over Dundarave Park with beautiful water views. 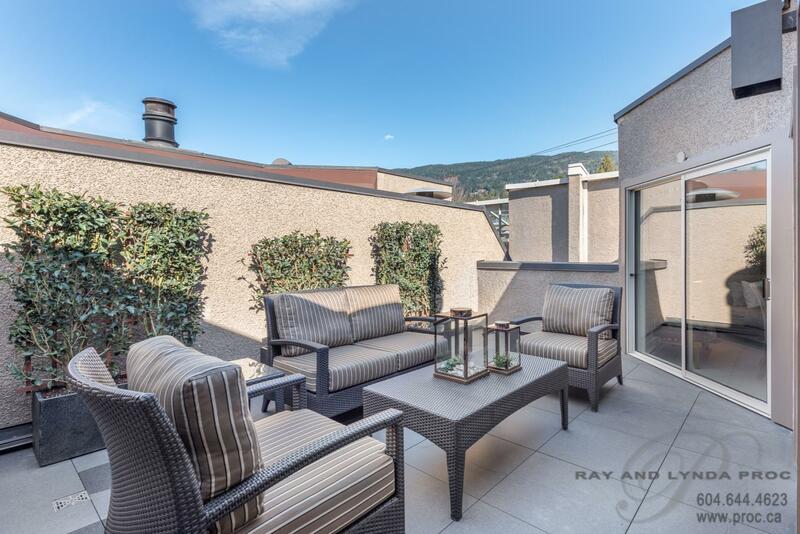 A boutique building with ten suites this top floor unit has been meticulously redesigned for unique seamless indoor-outdoor living and a stunning, sophisticated interior. 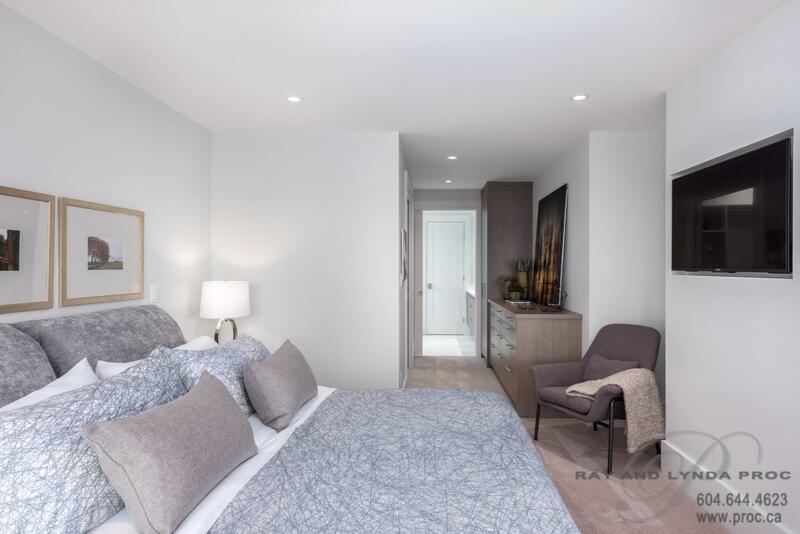 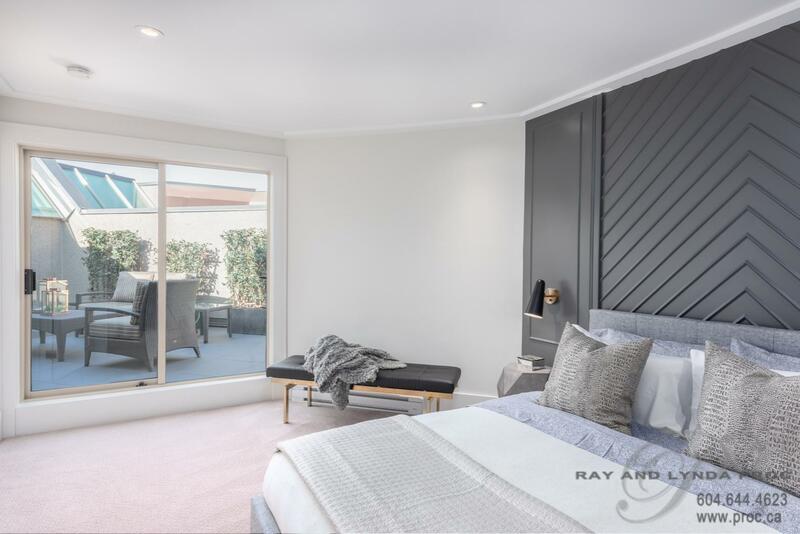 This spacious suite has been taken down to the studs to create a gorgeous open space that takes full advantage of the intimate views creating an exceptional place to enjoy living and entertaining. 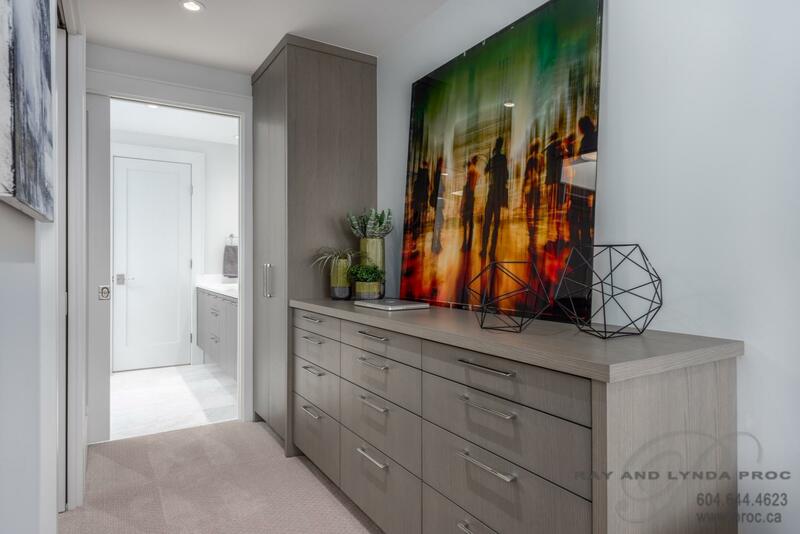 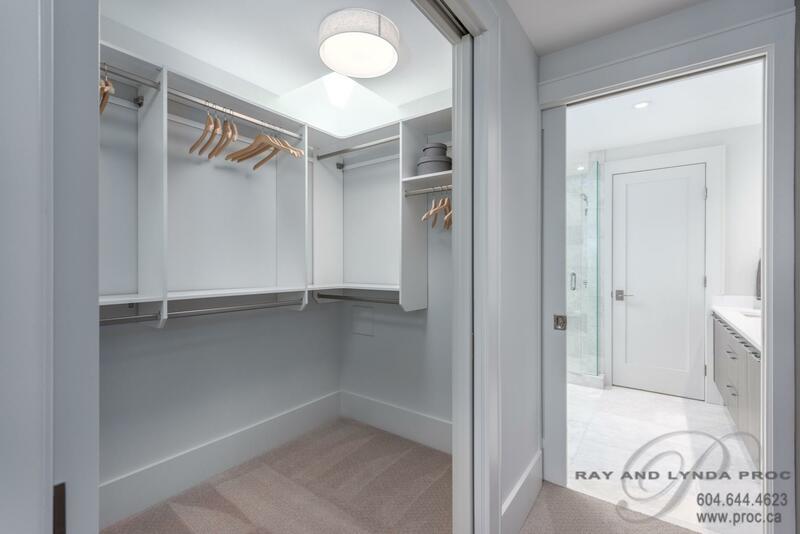 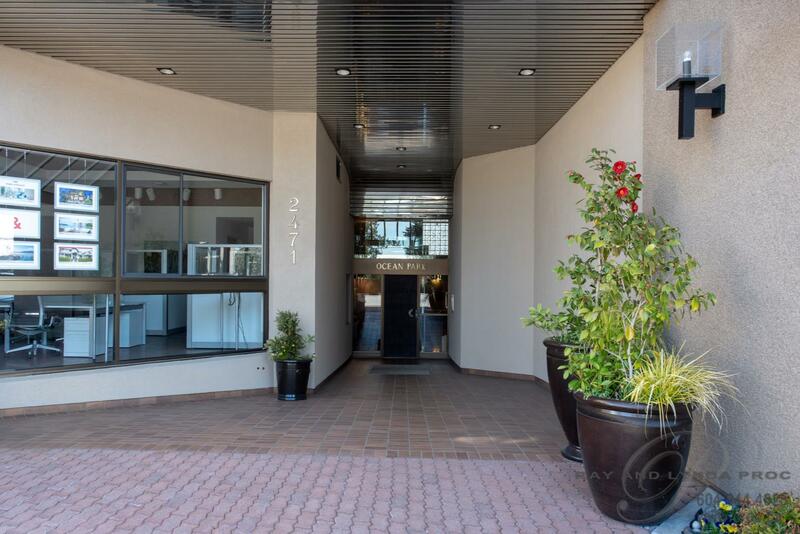 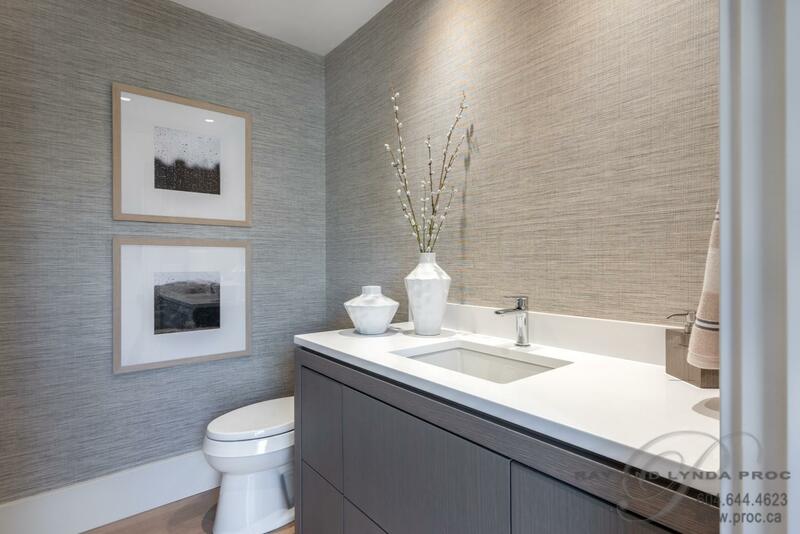 From the moment you arrive in the discrete paneled entry that looks into a private 226 sf patio perfect for quiet evening cocktails you know this is what you have been waiting for…. 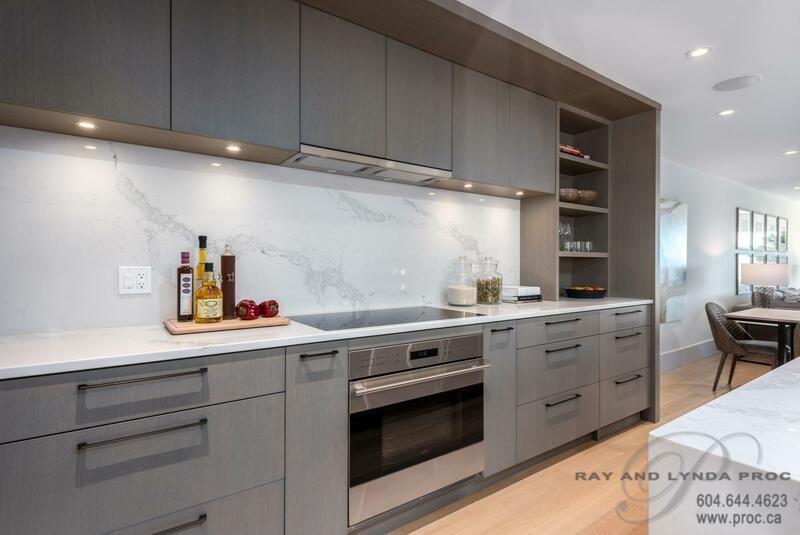 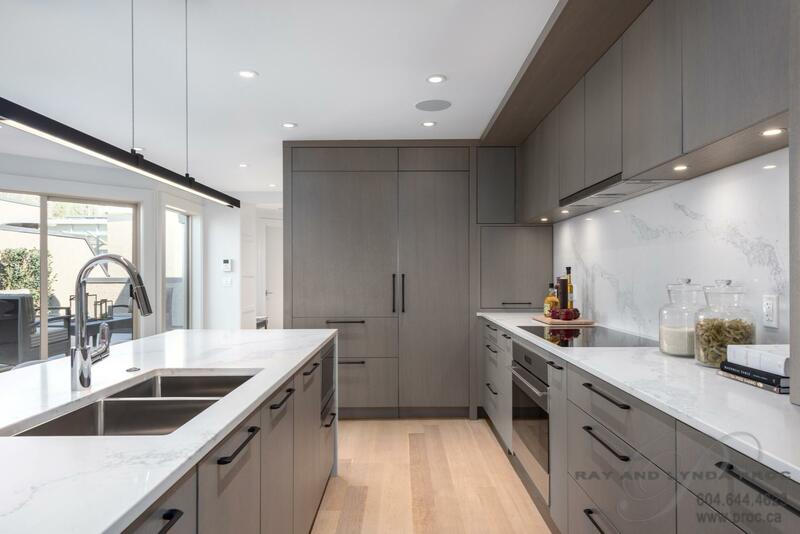 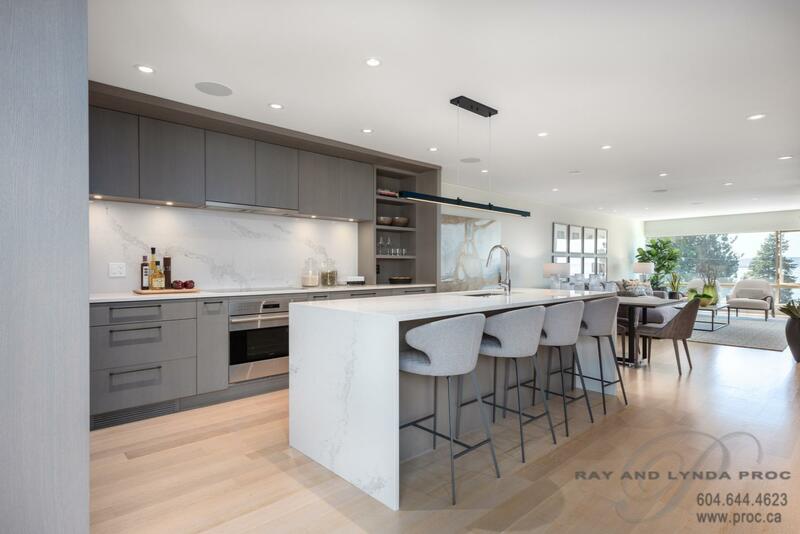 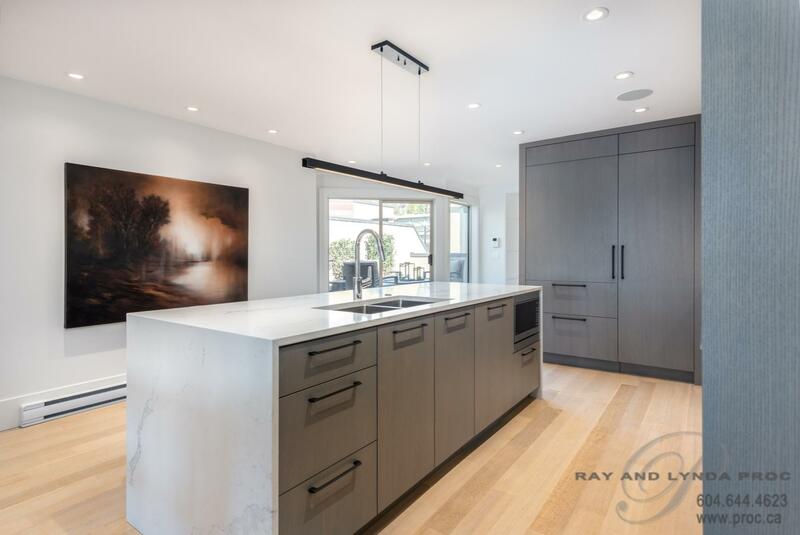 The contemporary bright kitchen will delight the gourmet chief with the elegant centre island and beautiful dining area. 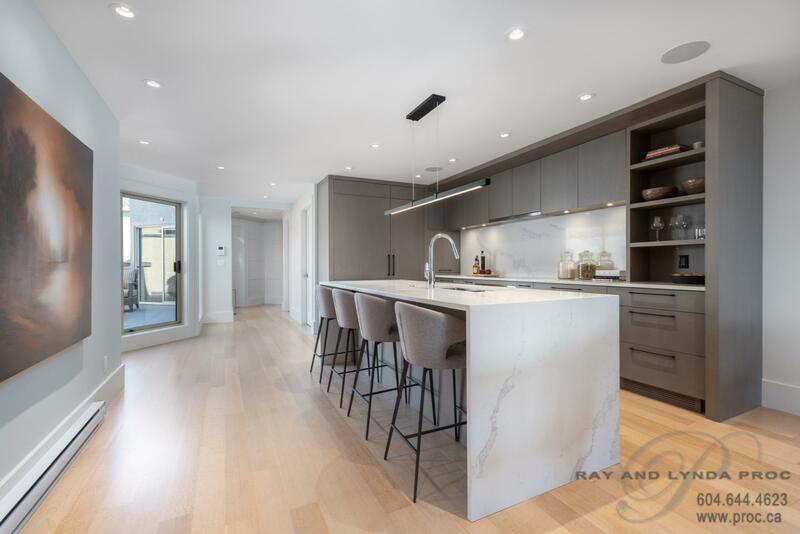 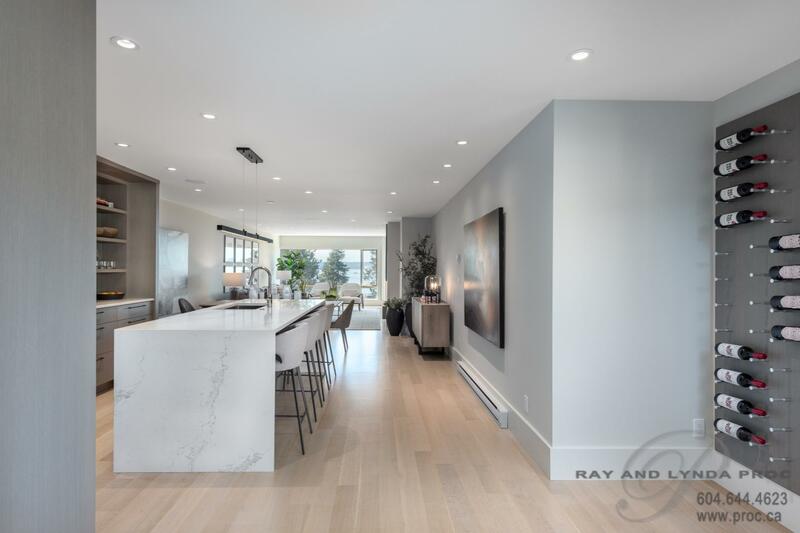 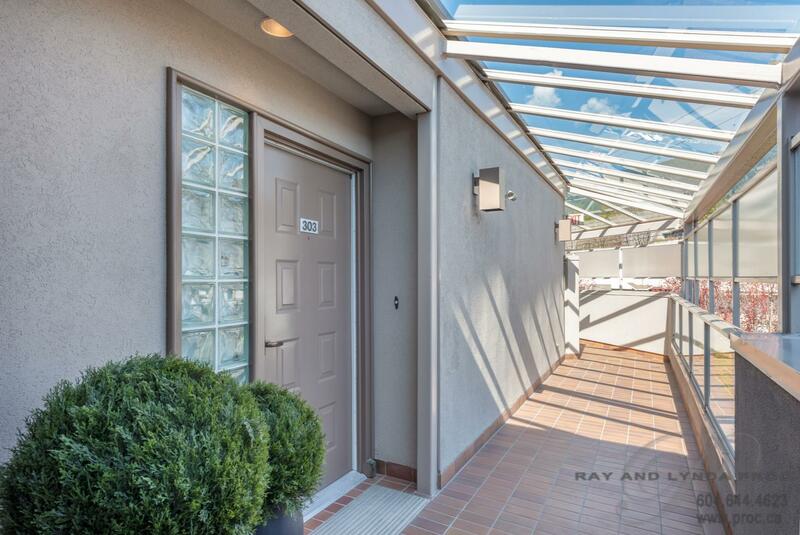 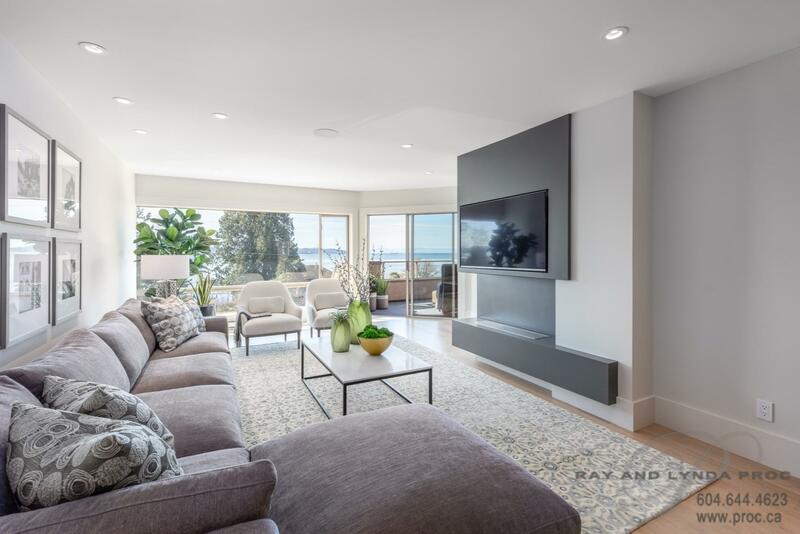 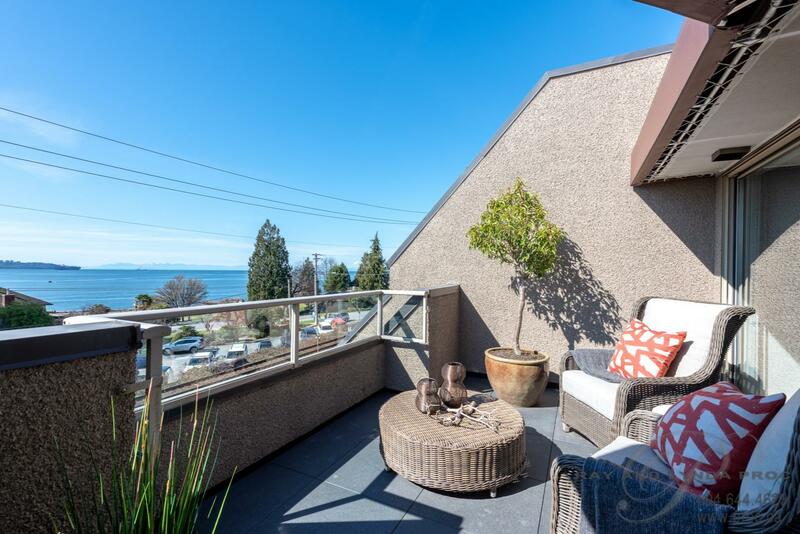 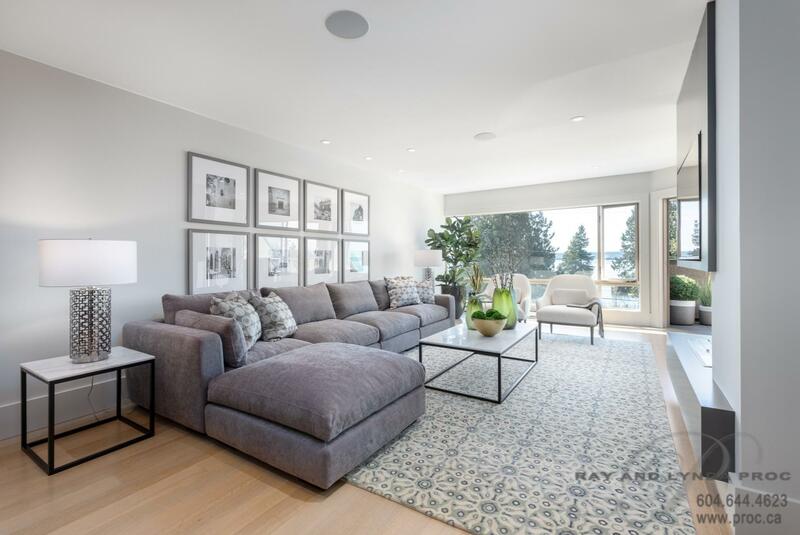 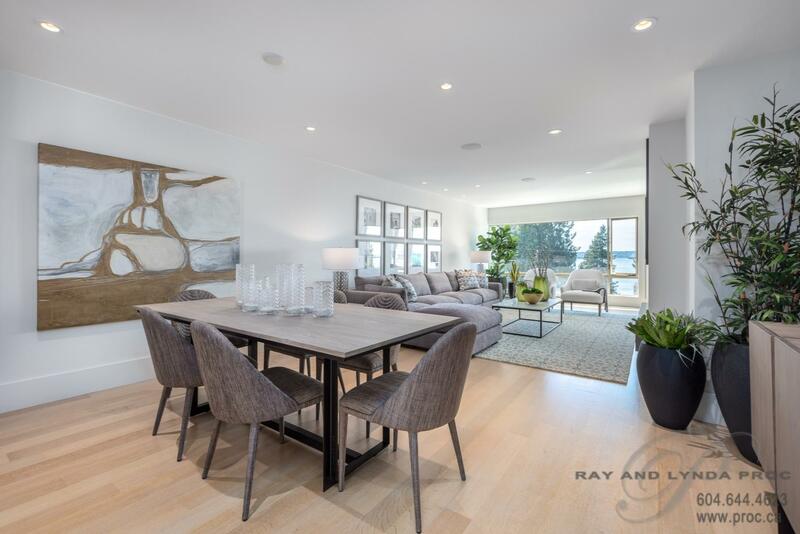 An open living area creates a beautiful spacious yet cozy ambiance with its huge south facing windows and intimate deck that overlooks Dundarave Park. 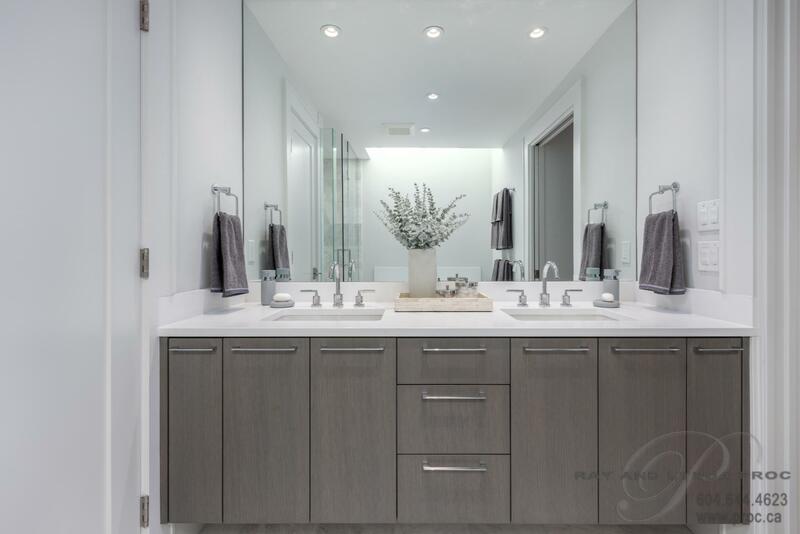 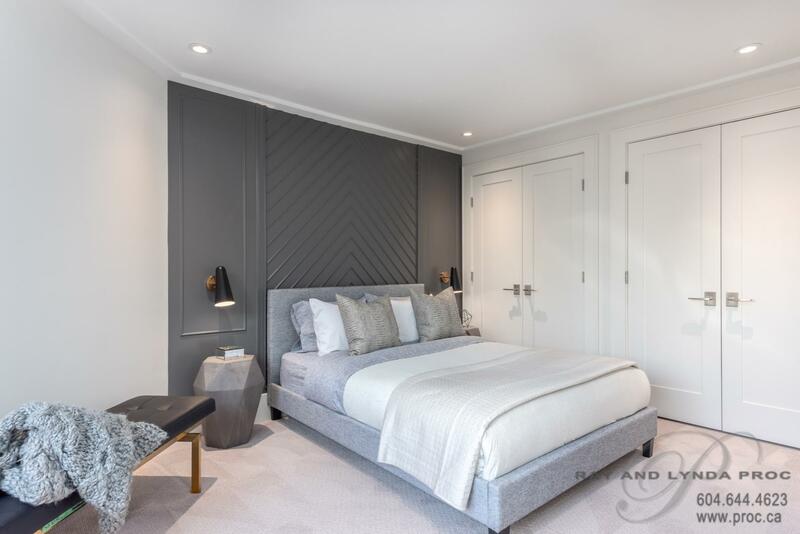 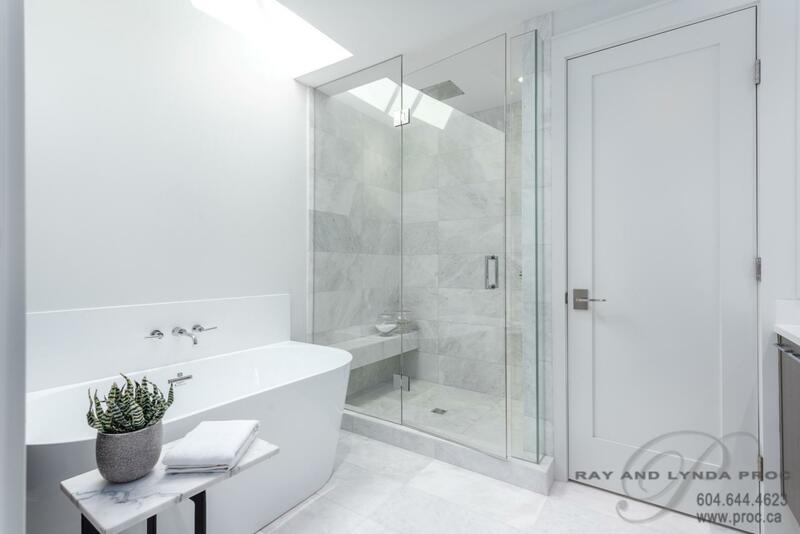 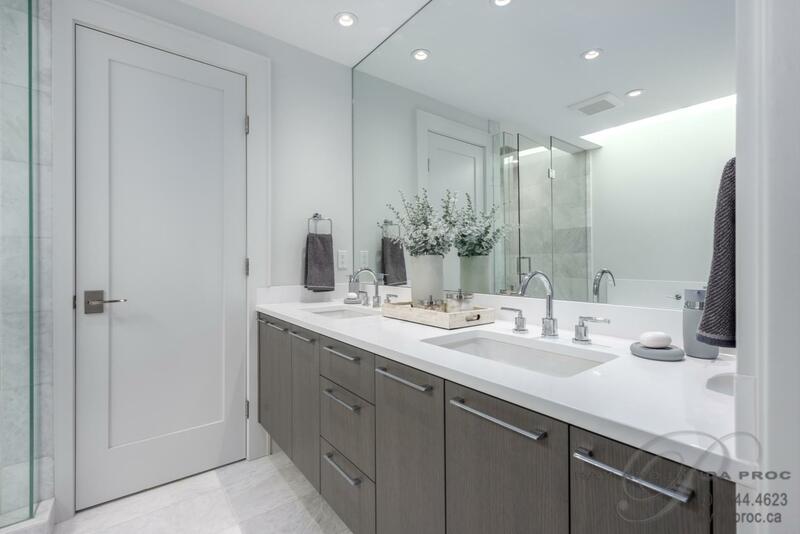 The stunning master suite with its sparkling views and access to a south facing deck, has a large walk-in closet, built-in cabinetry and a beautiful spa-like ensuite that could rival those found in the world’s most sumptuous hotels. 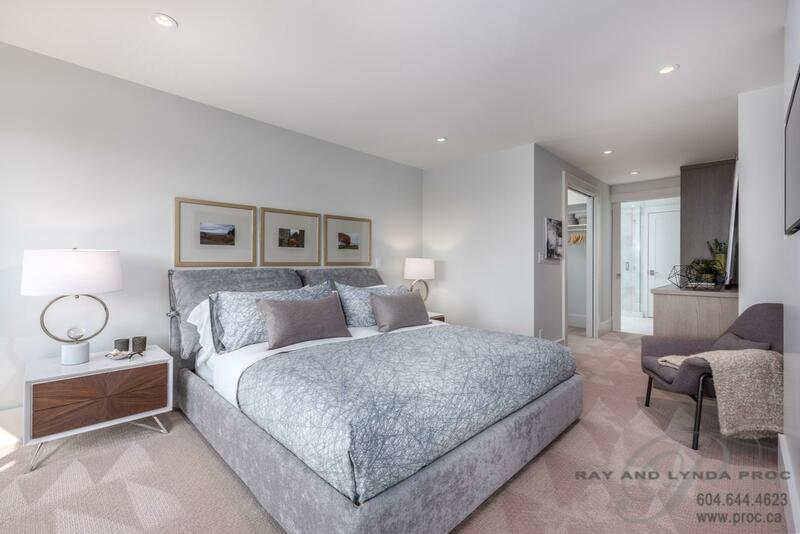 The discrete second bedroom with its pretty three piece ensuite will not disappoint! 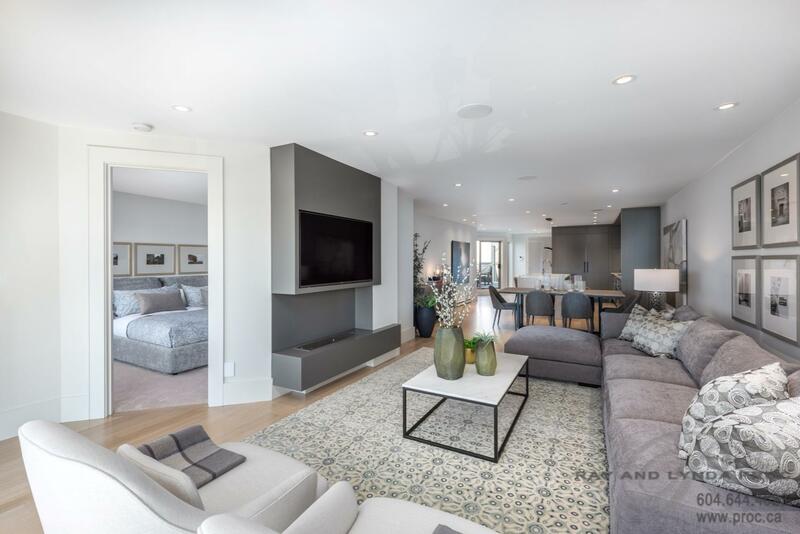 For lovers of technology the Control4 smart home automation system controls the in ceiling speakers and touch pads for lighting. 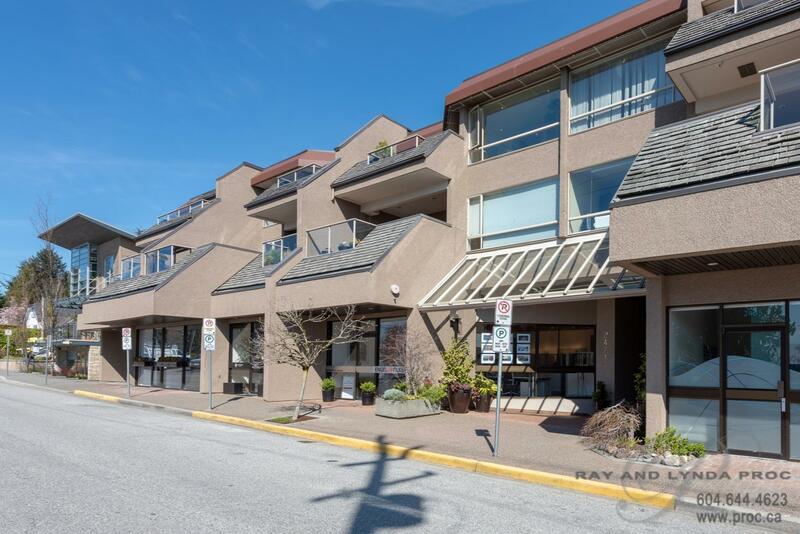 The suite features additional luxurious details such as custom stained white oak hardwood flooring, heating bathroom floors, full size laundry/pantry room, built-in vaccum, BBQ’s allowed and pets (with restriction)…prepare to be dazzled again by Linda Burger – a truly exceptional suite in a truly exceptional location just steps from the Seawall and beach, the shops and restaurants of Dundarave and within minutes of Ambleside, Park Royal and the Lions Gate Bridge. 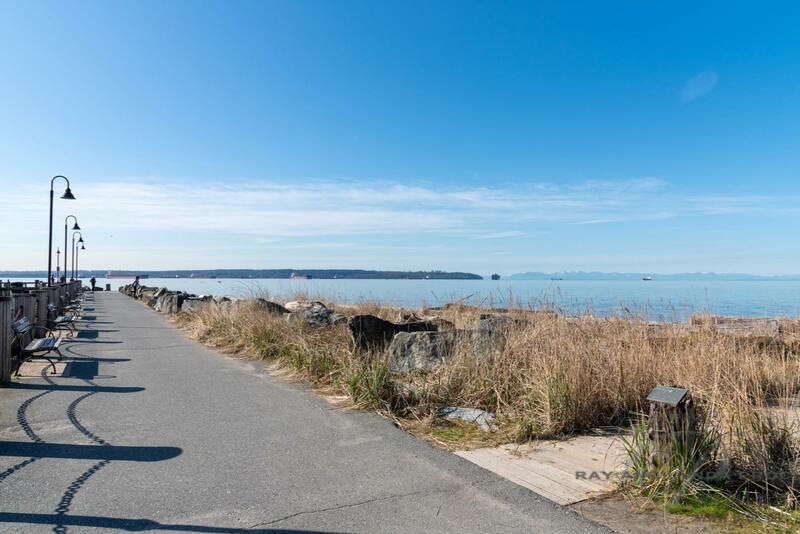 Leave your car at home and set out on foot, bike or transit!